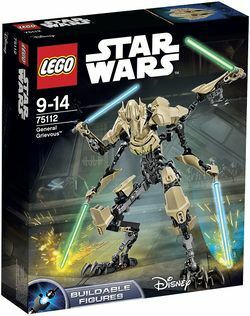 75112 is a Star Wars Ultrabuild set that was released in 2015, depicting General Grievous. This is a description taken from LEGO.com. Please do not modify it. (visit this item's product page) Command the Droid Army with posable General Grievous! Lead the Separatist Droid Army with super-tough General Grievous™ as you’ve never seen him before! This amazing buildable LEGO® version of the feared Supreme Commander features fully posable limbs, 2-into-4 separating arms and 4 buildable Lightsabers. This ultra-fast General is ready for intense battle! Separate the arms and battle with 4 Lightsabers! Lead the Droid Army against the Jedi! Another view of the figure. 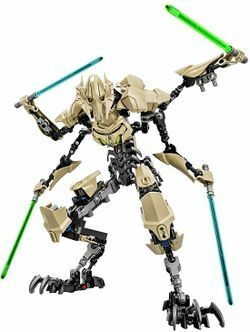 Facts about "75112 General Grievous"